Select the Web tab in the inspector. If an entry appears then your manual is linked to ScreenSteps Live. 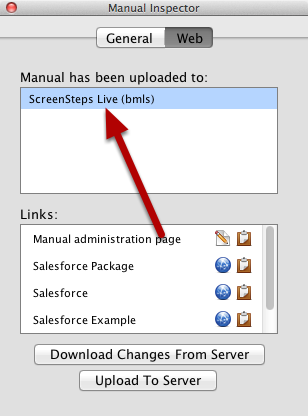 If one does not appear then the manual is not connected to ScreenSteps Live. You can break the link by selecting the entry and pressing delete on your keyboard. 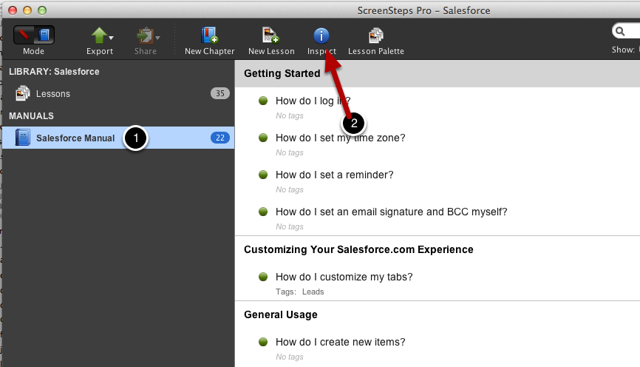 Prev: How do I Download a Lesson to My ScreenSteps Library From ScreenSteps Live?